Introduction & Places by Name Places by State Places by Type Road Trips! Welcome to the Places I've Been. Or at least I have pictures of. Places covers a wide range of locations, from majestic National Parks down to the kitschy tourist tra... uh, attractions that dot the countryside. There are only two criteria needed to be a "Place": I was there and I took a picture. Usually more than ten pictures to have its own page, with smaller groups of images usually placed on a State's page. But that's more a guideline than a rule. When this site was first established, it was split into three main sections, Theme Parks, Other Stuff and Road Trips. At the time, it was the ideal way to split the images up, since this site was to be nothing more than a place to post my vacation pictures, eliminating paper photo albums (remember those?) and later slideshows on CD's. While Theme Parks and Other Stuff were location based, road trips were event based. They were linear trip reports of a vacation. So while new images of Disney World would just get added to their location within my Disney World pages, a new Road Trip would add another trip report/timeline. This started to cause fragmentation of the images. 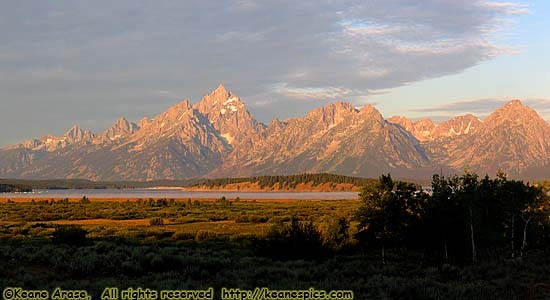 For example, I've visited Yellowstone three times, so my Yellowstone pictures were in three separate locations. Clearly, a reorganization was needed, to transform all the event based road trips into a location based model, much like Theme Parks. However, Theme Park organization is easy, there's a natural flow, because they're all Theme Parks: Brand -> Resort -> Park -> Area within a park. Many of the images did fall into natural groupings or types, such as National Parks, Monuments and Recreation Areas, State Parks, Historic Sites, etc. But many didn't. When all the images were finally sorted by Place, there were several dozen under the heading of Miscellaneous, most of which had a small number of images. Not what I'd call ideal. The best solution I could come up with, was to create entries for every state in the union, and put the Places with a small number of images on those pages. That way, I could also create maps with the routes I took through the state. It would also provide another way to index the pages. In addition to the complete reorganization of my Road Trip images, was the complete reorganization of the website itself, from the user interface to how it works internally. I'll have more detail at some point in my notes section. Places are indexed three ways. While each index is quite different from another, they will all lead to the same Place Pages. Places by Name. That's the index below. It's just an alphabetical list of all the Place Pages by name, regardless of location or type. This index is useful if you know the name of the place you're looking for. Places By State. This index groups Places by state. If the Place is in more than one state, it is listed in each state. Within a state, Places are (usually) grouped by area or road. There is a map and my routes for every state, as well as more descriptive links for the Places. These pages also hold thumbnails for places that didn't have enough images for their own page, and images not associated with any specific Place group. This index is useful if you want to see images of a specific area. Places By Type. This index groups Places by what they are, from National Parks and Monuments, to the notable roads I've driven, to the all encompassing "Miscellaneous". There are both text and detailed links on the Type pages. The fourth way the images are indexed are by my Road Trip reports, which don't use the Place Pages at all. These present the images (and my rambling) in a linear fashion from the start of a trip to the end, and includes tips on how I plan a Road Trip. There are links from the Place Pages into these trip reports. So here are some rules. Or at least some guidelines. All of the Place pages are organized by Type. So regardless of where you clicked on the link, you will suddenly find yourself in Places By Type. Links back to your entry point are at the bottom of the page. All of the navigation links are at the top of the page, and Help and other information is available at the bottom of the page. If a Place is integral to another place, it will be on the other Place's page. For instance, the Going To The Sun Road is integral to Glacier National Park, so it is under Glacier's page instead of being listed on its own page. Goulding's Lodge is in Monument Valley, so it appears on Monument Valley's page rather than it's own, but Ruby's Inn, right outside of Bryce Canyon, has its own page. Any links in italics do not have their own page, but resides on another page. Maps are provided whenever possible. I will try to provide the source of the maps, which is generally the website promoting the Place. All state and US maps were sourced from nationalatlas.gov. All of the National Park System maps were sourced from the excruciatingly slow NPS map site. Road map type maps are probably sourced from programs like Microsoft's Streets and Trips. I'm not sure what else to say about this index, other than it includes links to some pages in Other Stuff, and even the Theme Parks. They are, after all, Places. A state name will take you to that state's page. 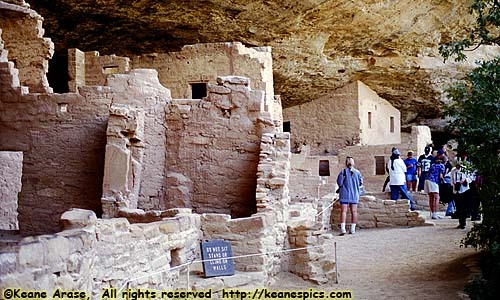 NM: National Monument or Memorial. NHS: National (or State) Historic Site. xOS: This page exists in Other Stuff. xTP: This page exists in Theme Parks. xST: These images exist on a State Page. April 2017 - Upgrade to v3.4.